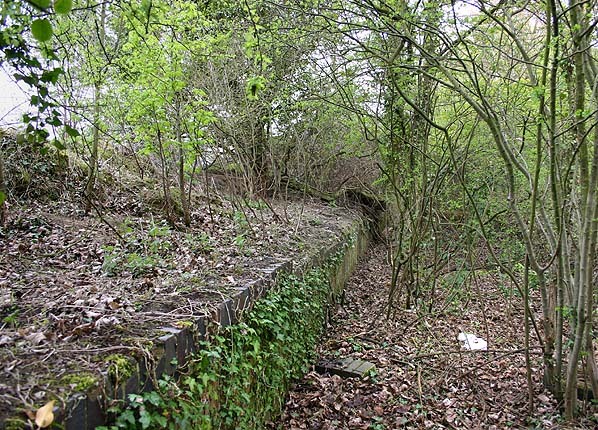 Present state: The overgrown platform survives and apart from Shepherdswell is the only extant platform on the EKLR. Some sawn-off lengths of original EKLR bullhead rail are used as a vehicle barrier at the start of Burgess Hill which runs between a new industrial development on the site of the colliery and extensive waste tips which still survive. Notes: Before opening the halt was to be called Elmton after a local farm but it opened as Tilmanstone Colliery and was provided to serve Elvington Court a large country mansion that had been converted into a hostel for 120 miners. Later an estate of house was built for the workers who largely came from mines in other parts of the country. 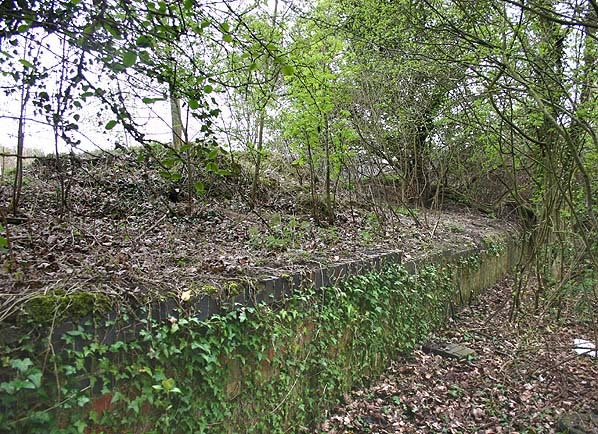 The halt was renamed Tilmanstone in the1925 Bradshaw and from 1927 it appeared as Elvington. 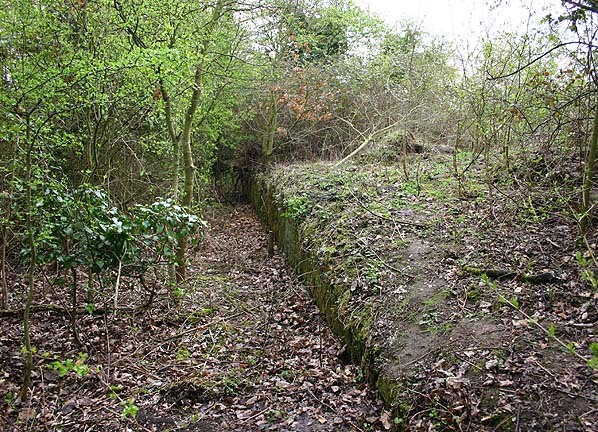 There was no road access to the halt which was sited adjacent to a footpath running from Pike Road, through Tilmanstone Colliery to the miners housing estate at Elvington. Elvington station had a 100' long single platform with a small open fronted shelter on the down side originally this was timber faced but was later refaced in brick. 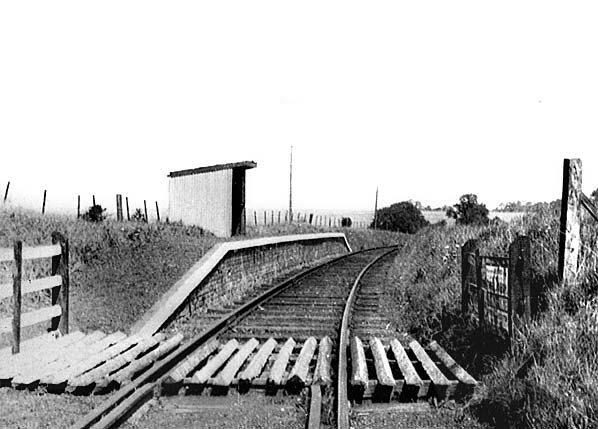 the LCDR station (which opened in 1861) with a spur onto the main line. 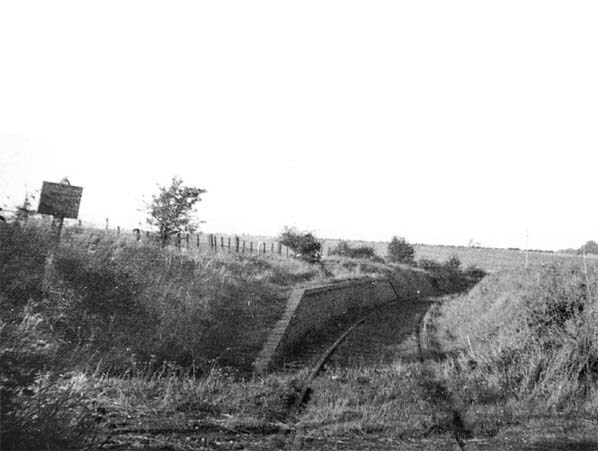 The initial proposal was to build a line to Canterbury goods yard via Ickham, but authorisation was only granted to build the line as far as the Wingham parish boundary. A major stumbling block to completion was the fact that Canterbury City Council was against a level crossing over the A28 at Sturry Road. and discontinued by July 1930. This service appeared in Bradshaw from July 1922 – August 1929. To see other stations on the East Kent Light Railway click on the station name: Shepherdswell, Eythorne, Knowlton, Eastry South, Eastry, Woodnesborough, Ash Town, Staple, Wingham Colliery, Wingham Town, Wingham Canterbury Road, Poison Cross, Roman Road, Sandwich Road, Richborough Port & Tilmanstone Colliery Yard.